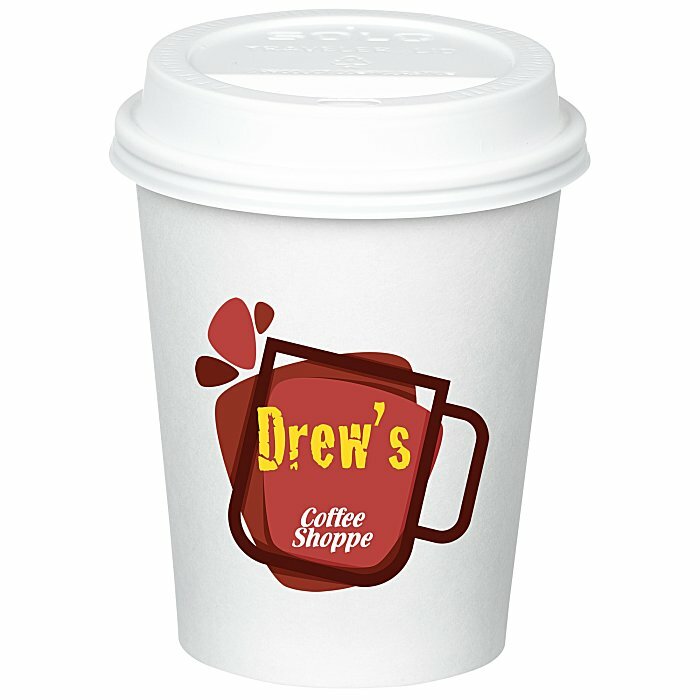 Add your colorful logo to these imprinted cups! White cup supports 296 mL (10-oz) of hot or cold beverages so you don’t have to buy them separately. Traveler lid with drink-through opening provides some extra protection against spills when taking drinks to go. Increase brand awareness by exposing them to your logo and your actual product at the same time. Made of disposable paper material for easy clean-up after your event. Perfect for catering events, family reunions, company picnics, potlucks, sample tasting promotions and so much more. Size: holds 296 mL (10-oz). Your price includes the same one-colour imprint on the front and back of the cup.